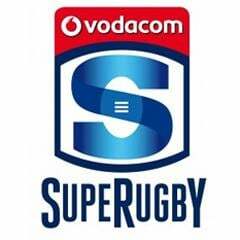 Johannesburg - Once the Chiefs turned on the heat, the Stormers found themselves out in the cold and their impressive four-match winning streak came to an end with a 28-19 Super Rugby defeat in front of a near-capacity crowd Newlands on Saturday. Chiefs coach Dave Rennie said after the match that his side seemed to cope better with the prevailing energy-sapping conditions at sunny Newlands. "The Stormers looked like they were tiring towards the end of the match," said Rennie. "We're a very fit side and it looked like we were coping well. "We controlled the ball more and it's difficult when you're made to chase (the ball)." The Chiefs run-on XV showed five changes to their side last weekend and the intention was to play with spark and pace. The ploy worked like a charm as the Stormers looked jaded in the later stages of the match. "We tried to move them around a bit and it worked," said Rennie. "It was ironic that last week we dominated the scrums and we lost; this time our scrums were not good and we end up winning. The scrum is one area that we need to improve on." Allistair Coetzee said that his team's tactical kicking was at the heart of the problem on Saturday. "Let us be honest, we were beaten by the better side in the second half. "This is a quality Chiefs side. A few things let us down today. 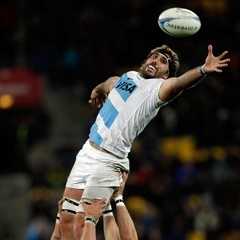 Obviously our kicking execution was not good," said Coetzee. "If you give them free possession like that, they'll punish you, and they did that today." Coetzee agreed with Rennie who summed up the match as a "brutal" one. Coetzee also remarked on his "lethargic" team. "It was a massive physical battle. A team with territorial advantage plays with their tails up and we did not get any energy from our kicking game," said Coetzee. "That's what made us look so tired and lethargic in terms of our kick chase." The Stormers, although impressive for the opening 20 minutes, were unable to keep their shape as the game wore on. "The Chiefs choked us territorially in the second half. 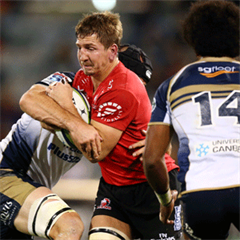 We were forced to relieve pressure with kicks, but we kicked badly and it just escalated the situation," said Coetzee. "Our plan was to keep it structured and we actually made it unstructured by not kicking out. That's the crux of the matter. "We did not execute well enough to deserve to win this game."